My name is Nathan Goldberg, and I am happy to be a new blogger here at Nemesis Bird. 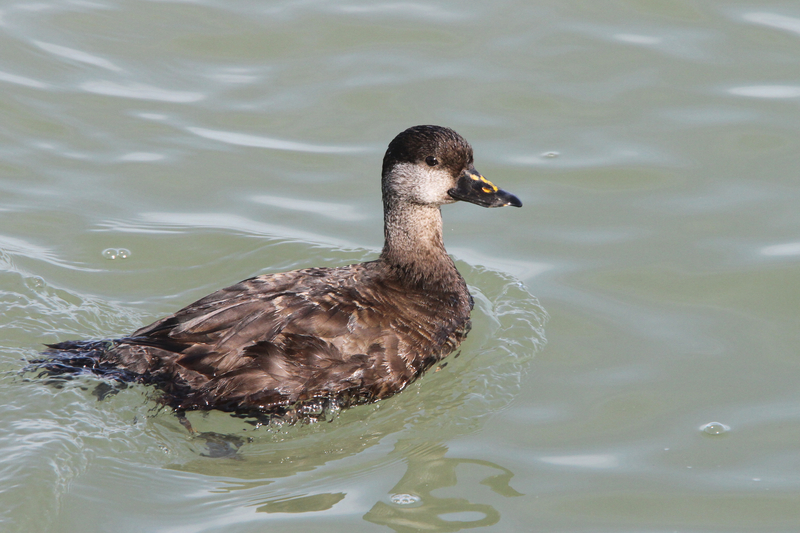 I am a 17-year-old birder from Chicago, and I have been birding for four years now. Listing is a serious addiction of mine, and I’ve been bit hard by the county listing bug. Though friends keep telling me its only for older people with more time, I love every minute of it. I am on a family trip to the southern states, and got to bird today with Dan Irizarry, his wife Ileana Pentzke, and their friend Kyle Hickman. 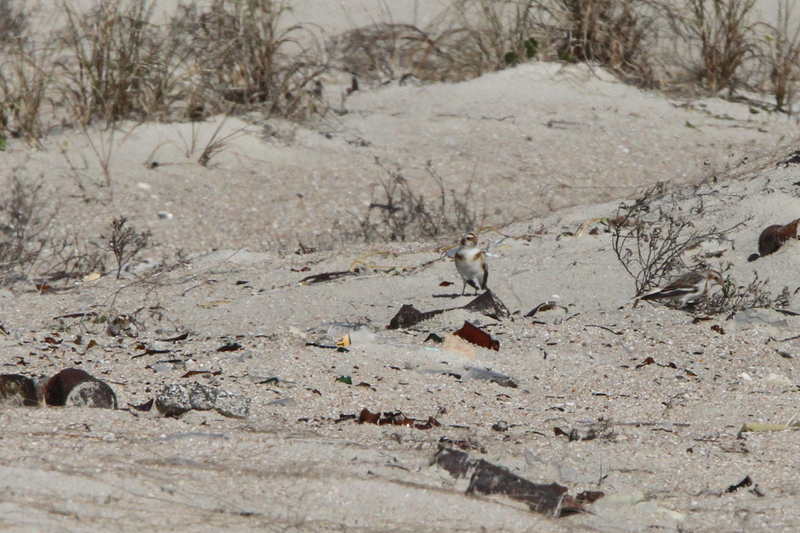 We birded Duval and Nassau counties yesterday, looking for the rarities present in the area. We started at Huguenot Memorial Park in Duval County, looking for the Snowy Owl that has been seen for two days in the area. 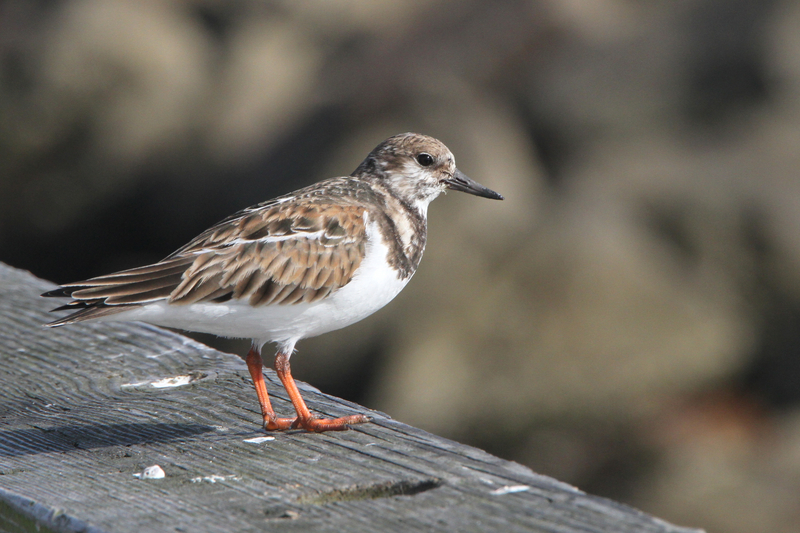 It was found at Little Talbot Island State Park, but flew about 200 yards to the north end of Huguenot. 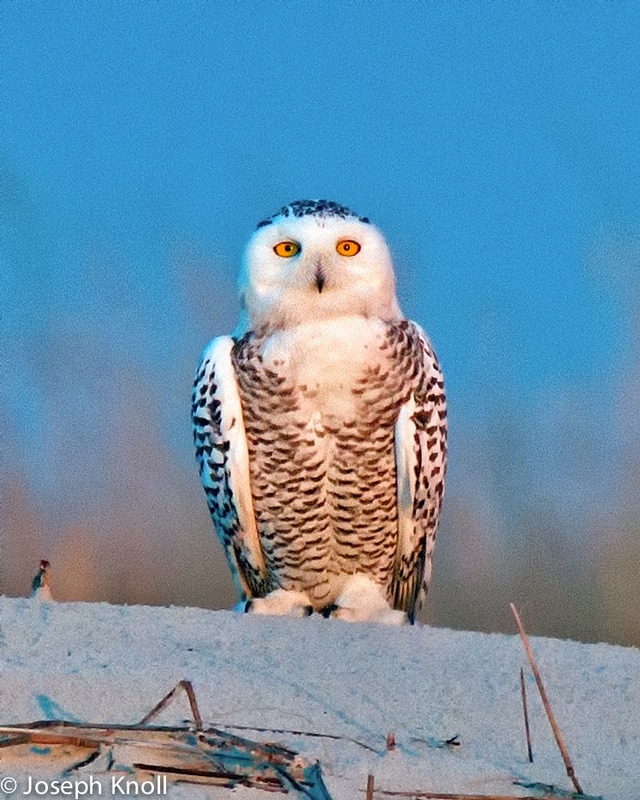 Unfortunately, the Snowy Owl (third state record) was not seen today, but we still had great birds. 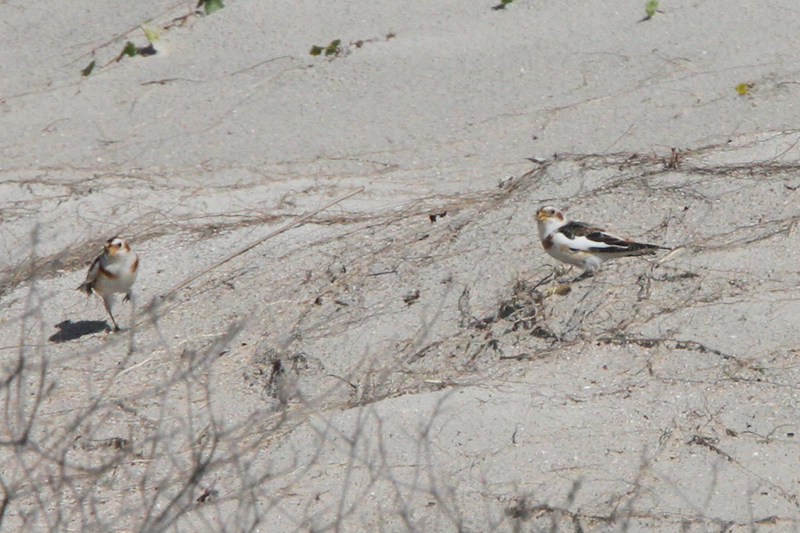 There have been three Snow Buntings frequenting the island, a great bird for Florida (especially having more than 1!). 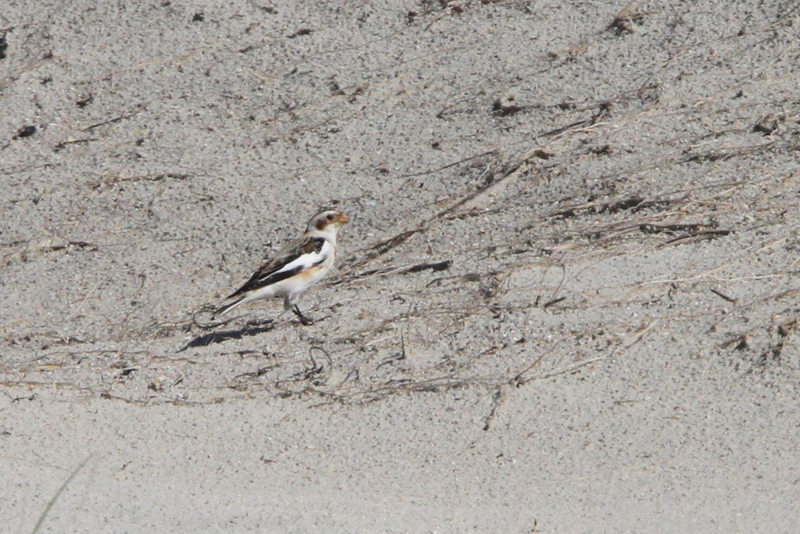 After some searching, we finally got great views of all three birds feeding on Sea Oats in the swales. Besides the Snow Buntings, we also were able to see another good bird for the state, a Black Scoter (we had two off a jetty). 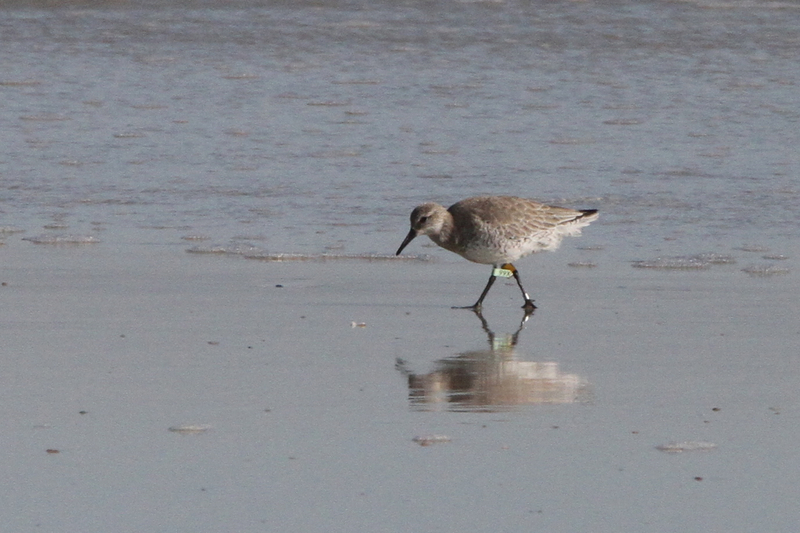 Shorebirds were numerous, and we had about 25 Red Knots throughout the park, including this banded individual (99X). 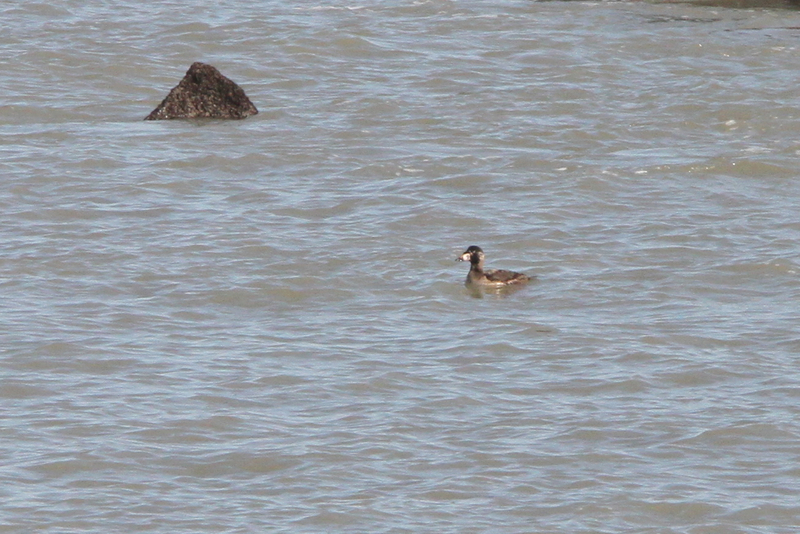 Being from Chicago, we do not have Wilson’s Plovers, so I was keen to try and find one for my life list. 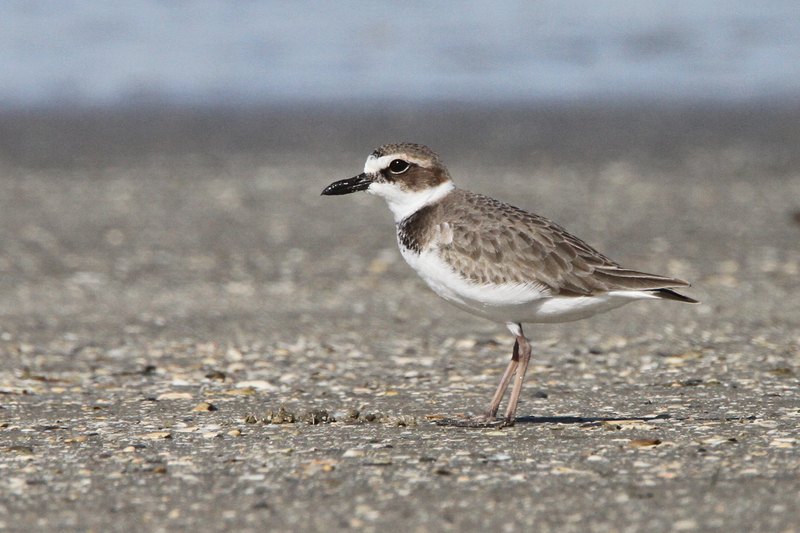 On the way out of the park, we stopped to scan a flock of Semipalmated Plovers for a Wilson’s, and ended up finding four close birds! A great individual, and ABA bird #518 for me. 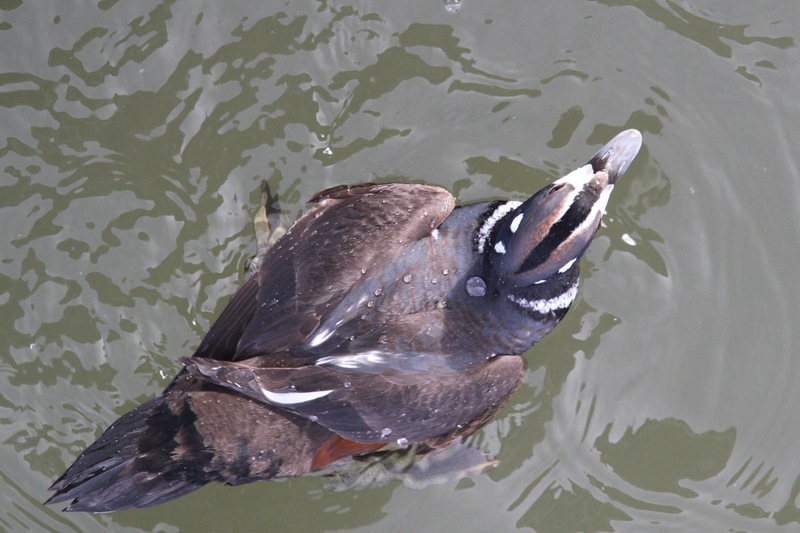 Leaving Huguenot with one of our two targets, we headed up to Fort Clinch in Nassau County for a drake Harlequin Duck that has been frequenting the long pier. 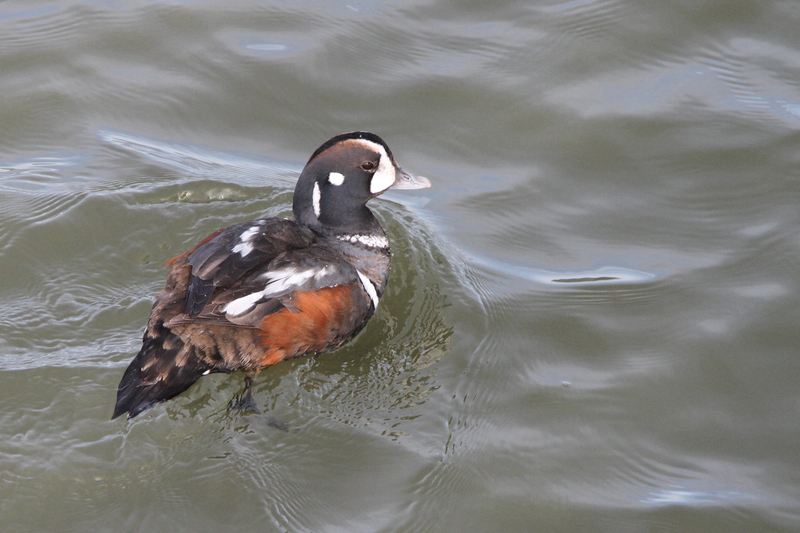 It has been quite accommodating, and it did not fail to amuse all of the eager birders and photographers. 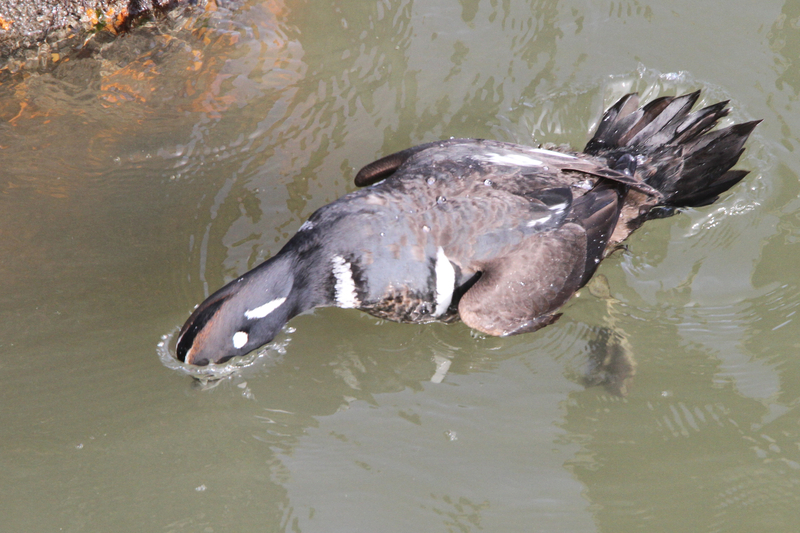 The bird started out far away in the water, but soon swam to us and fed right under the pier. 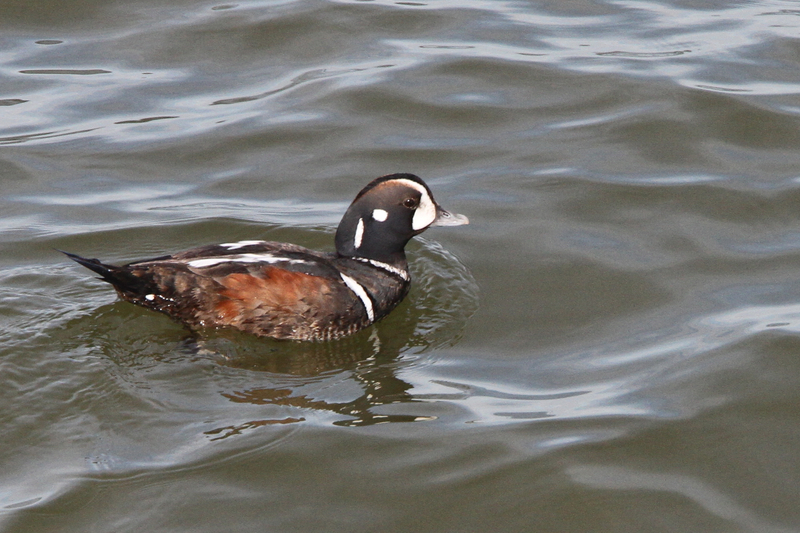 I have never looked down on a Harlequin, but there is a first time for everything. Walking to the end of the pier hoping to spot a Purple Sandpiper, we came up short, but instead we found a Surf Scoter, our second scoter species for the day. 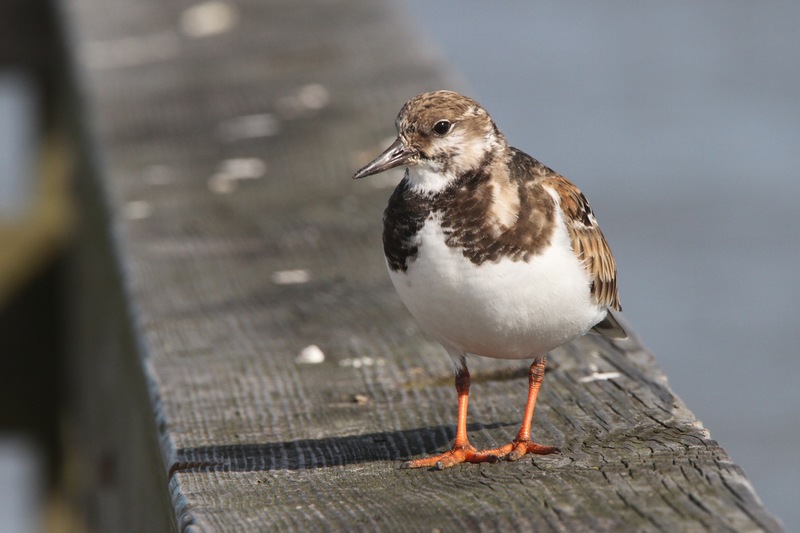 Also along the pier was a Ruddy Turnstone, which had obviously been taking handouts from fishermen, as it allowed us to walk within a foot of it without budging.